SharePoint has proven a boon for small and large businesses. It enables easy designing and development of corporate websites. It is a secure place to upload, store, organize and share information from anywhere within the network. A conventional internet web browser is all you need to get every information or data on this amazing online sharing platform. Share and Collaborate in Simple Seamless Way – With SharePoint sharing and collaborating between different departments becomes extremely easy. It is the perfect platform for your employees to organize and collaborate on content, news, data and any other information, staying on the same level at all times. Connect Easily within the Organization – You can easily design portals and intranet connections which allow authorized personnel within your organization to stay connected with each other. Apart from simple data, you can easily share other common resources and applications. This is the ideal way to broadcast information in a dynamic way. Gain Intelligence and Insight into Business – Advanced and powerful systems help you to find the relevant files and information almost instantly. 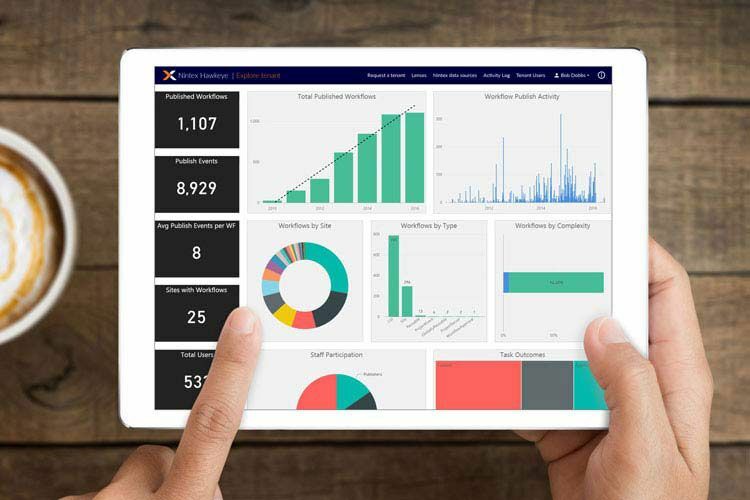 It helps your people to stay connected constantly for better and more efficient collaboration between sections of your business organization. Effectively Authorize Access to Content – SharePoint provides extensive security support for users at the library folder, list and website as well as item levels. Security is role-based at every level, thus ensuring access to only authorized personnel. Efficiently Litigate with eDiscovery – SharePoint eDiscovery and its compliance features are efficient to recover and manage evidence. This is highly useful when it comes to civil litigations. It also efficiently manages records for your organization. File storing and sharing – Store files up to 1 TB per user and share with ease on OneDrive storage. External sharing – Share all contents within and outside your organization in a safe and secure manner. Content management – Maintain your content in a better way in lists and libraries with records management, metadata and retention policies. Common team site – Offer your team a common platform to organize, collaborate and get updated through content, data and news. Efficient communication – Share and communicate your organization’s or team’s message broadly through vibrant and dynamic communication sites. Innovative intranet – Develop efficient intranet and private networks within your organization. These help to relay your messages, stories, information and important news along with sharing resources, engaging personnel and streamlining business processes. Smartphone apps – With the efficient SharePoint mobile apps for Android, Windows and iOS smartphones you can easily access your intranet connection, view team sites and use the content. OneDrive mobile apps are also designed for Android, Windows and iOS smartphones. Automating business – Easily automate business processes and workflows for efficient use of resources and personnel. Satisfactory search results – Now get extremely relevant search results faster, with customized search engine systems, across Office 365. 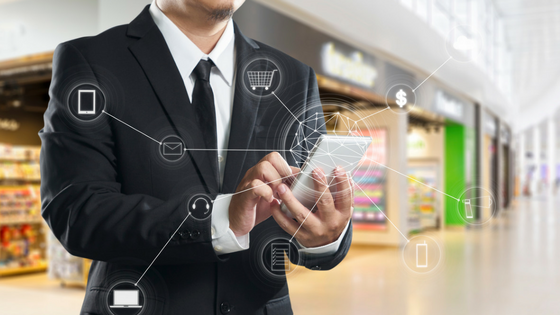 Easy integration – You can design and develop workflows that can easily connect and interact with your existing business applications. This works efficiently with Salesforce as well as cloud-based services, such as Box, Yammer, Twitter, etc. Automatic document generation – With the Nintex Document Generation for SharePoint, you can now create dynamic, compliant and data-based documents automatically. To know even more about how Nintex Workflow for SharePoint application can help your business become more organized and better prepared to fight the tough competition, click on this link for the complete video. Did you take a wrong turn on the road to disaster? Can you find your way back if you take a wrong turn on the road to disaster? If disaster strikes, recovering from it could cost you thousands of dollars, plus lose your customer’s good faith. So, if something disastrous happens, your business could grind to a halt, whether tech is your main business or ‘just’ how you get your work done every day. What could go wrong? Well, there’s floods. Plus, electrical storms, hurricanes, fire and people who leave with your passwords or source code. 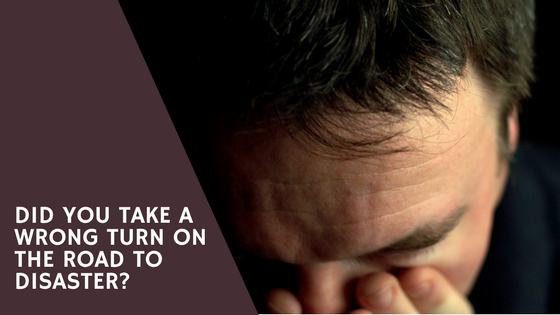 Without a backup plan, your business could be in trouble. What’s included in a plan? Disaster plans can cover everything from how to get out of your store or office during a fire drill, to how to get back up and running if your servers are underwater. Then, you can take it a step further. If you think about staying in business during a disaster, as well as recovery, you’ll be in the best shape you could be. Does your plan include an inventory of mission critical business processes and data? When was the last time anyone reviewed your plan? Tested your plan? Is cyberattack preparedness included in your current plan? How much depends upon human intervention? During a disaster, humans have other priorities than failing over their virtual machines. Automating your solution is key to ensuring success. A cloud solution can help you recover quickly. And it’s less expensive than having your own datacenter to support and protect. It’s a practical solution for a business, whether it’s large or small. But it makes especially good financial sense for a smaller organization. Do they offer a hybrid solution, so that you can keep some data on premise as well as in the cloud? Do they offer metered service so that you can save even more money by ‘turning off’ services when you don’t need them? Is the service easy to use, with good support for your team? Are they compliant with your industry? But wait a minute, you might say. I’ve read about companies, even big companies, losing data in the cloud during a disaster. It’s true, there have been times when the cloud failed companies. When this happened, it was because the data was only stored in one location. And it was based in the same region as the company. That’s an obvious mistake. With the Microsoft cloud, you can get ‘geo-redundancy.’ This means that your data is in more than one location. So, if your area is hit with a hurricane, along with floods and electrical storms, your data would be safe in a datacenter across the country. That also means that your company data is available even during the storm. We’d love to meet you and discuss your plans for keeping your business running. If you’re ready right now, call us or send an email. We’re happy to set up a free consultation to review your plan. If you’re still evaluating your options, download our e-guide to learn more. Many people are not aware of this new term ‘Nintex Form’ but they actually are a really important part of the data world. Most of you might be wondering what exactly are Nintex Forms. Well, there are the providers of a certain interface between the user and the persistent data. 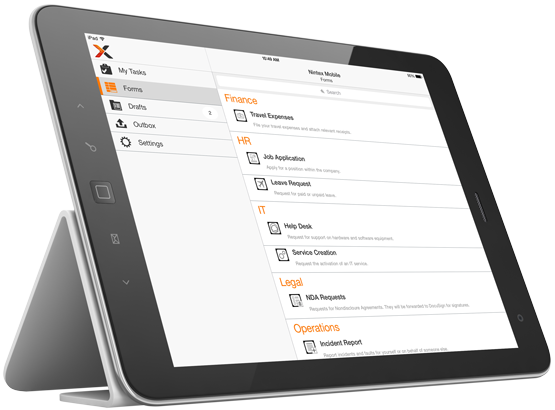 The Nintex form surface offers the user an ability to provide the different structure s data entry like the list boxes, check boxes and other. The basic idea of the Nintex forms is to provide the user with an opportunity to put in the data entry designs such as check boxes and list boxes. The Nintex Development Services also include validation of the data entry, and enabling the users to send data to the storage units such as the database. The Nintex Forms are created or designed to function accordingly with the Nintex Workflow and the lists of Microsoft SharePoint. Understanding the functioning of the Nintex Forms and Nintex Workflow can be fairly easy as well as complicating. That is why there is the Nintex Consulting Service that provides you an in-depth knowledge of the functions of Nintex Workflow SharePoint 2013. An easy interaction method. The Nintex forms generally provide a simple and easy method of interaction just by entering the data. Focusing on the entering of data into the lists of the SharePoint. This is one of the more important functions of the Nintex forms is to put the primary focus on the collection of the data. A Nintex form uses different conventional method for controlling, like the people and date picker, the drop-down list and many other such traditional and familiar method that the users already know about, so that the interaction can be afamiliar one. Even with the open ending of the underlying data, the data entry mask that is provided by the Nintex forms is helpful in guiding the user to enter important information in a professional and experienced way. The Nintex form is capable of validating on a particular entry for the checking of the data for some errors such as the format and other different stuff. The Nintex forms also trigger the interaction in response to the different events that are mentioned in the Nintex forms. The purpose of this is to make sure that the form can be dynamically adjusted to the data entry requirements and also is able to display the additional information and much more. Creations of calculations become very easy with the help of the data entered in these forms. The visibility factor of some elements in the form can be altered as well, based on the form events. The Nintex forms basically exist in a relation to the user that is using SharePoint, the form and the other different sources of the data. Other different sources of data collected from the external database, the web or any other lists described in SharePoint can be included in the form by the user. We know that the Nintex form exists in a relation to SharePoint. And the data that is acquired is stored in the list of SharePoint after being processed by the Nintex Form. And the SharePoint list stores that data in the Microsoft SQL. Finally, the form exists in relation to SharePoint. The data collected and processed by the form is stored a SharePoint list, which in turn stores the data in Microsoft SQL. The Nintex Forms Development actually focuses the user input into a certain record in the list of the share point. The context consists of a record that has a single row of the column fields in it. And it is called a column in SharePoint, which is corresponding to the SQL’s field.